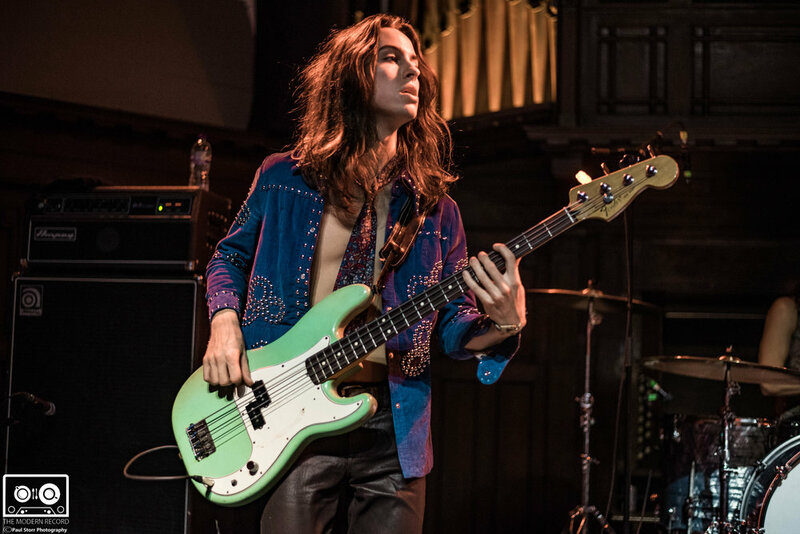 For all hard rock and roll fans of the late 60s, especially those who knew the British rock band – Led Zeppelin and song performers like Joe Cocker, watching the up and coming American Rock band The Greta Van Fleet would certainly seem like déjà vu. High-pitched sonorous vocals excellent guitar combination and percussion, the youthful 4-man Greta Van Fleet band takes the performance of their predecessors to the next level. The young chaps started honing their skills at the tender age of 3 years to 12 years when they started playing musical instruments, thanks to their parents. Now they have 2 extended plays already and a studio album to show for it, their efforts have even earned them notable award nominations such as the Grammy Awards in 5 categories within a space of just 2 years. Their music has also led them to appear in the night show of famous Jimmy Fallon and they also played in the Elton John Academy Awards after-party, all in 2018.
Who Are The Greta Van Fleet Members? The Greta Van Fleet members’ humble beginning originated from Christmas wonderland, Frankenmuth, Michigan, in the United States of America in the year 2012. 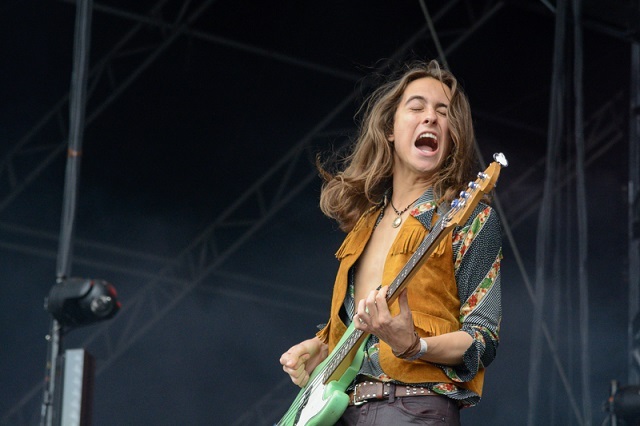 The group was formed by a group of young men between the ages of 19 to 22 comprising of twin brothers lead vocalist Josh Kiszka, guitarist Jake Kiszka, their younger brother bassist Samuel Kiszka and drummer Kyle Hauck (who left the band in 2013 and was replaced by Danny Vagner). He was born on 23rd April 1996, in Frankenmuth, Michigan United States. He was raised alongside his twin brother Jake and their younger brother named Samuel. Although there is not much information about their father, we know that he was their earliest influence in music because their father was a multi-instrumentalist while their mother’s name is reported as Karen Kiszka. He has a characteristic high-pitched sonorous voice and his patterned exuberant movements on the stage lend the band part of its uniqueness. His singing style and displayed stage energy have been likened to the famed Led Zeppelin vocalist Robert Plant. A skill he understudied and developed whilst trying to be heard over the blaring loudspeakers during their band rehearsals. Besides being the lead vocalist and frontman of the band, he also plays the tambourine and he is the shortest of the members of the band with a height estimated at a few inches shorter than his twin Jake – 5 ft 5 inches. 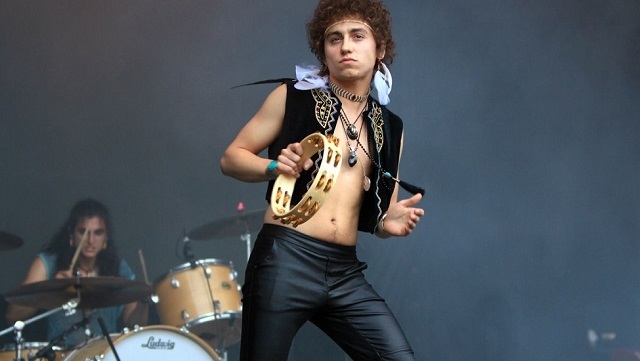 He is the younger identical twin brother of Josh Kiszka, they were born five minutes apart. He probably wears long locks to enable people to tell him apart from Josh. It was actually Jake who started the band. Again, he is labelled Today’s version of Jimmy Page. Jimmy Page was the lead guitarist of the defunct late sixties British band Led Zeppelin. Jake was drawn to the guitar quite early in life and began to play at the age of 3. Jake’s earliest influence was Eric Clapton who he idolized as a kid. He stands at a height of 5 ft 6 inches to 5 ft 8 inches – we can’t be too precise. 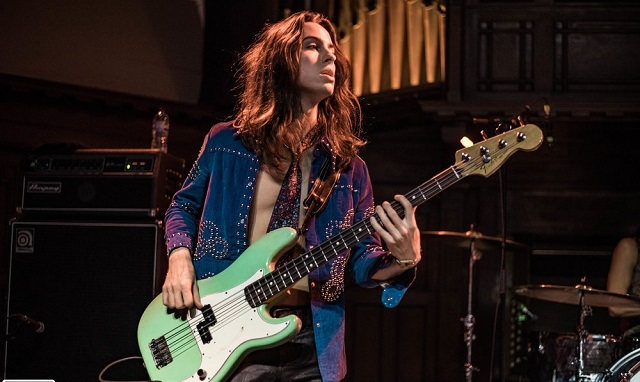 Sam is the youngest of the Kiszka brothers, he was nudged by his elder brothers to play the bass for the band in their garage days until it grew on him. He was born in April 3rd 1999 in Frankenmuth, Michigan and attended Frankenmuth High School. Samuel was great at golf back in his school days though he had to quit the golf state finals to attend a music tour in Sweden. He has shared the stage with Josh a number of times. Sam’s early influences were Motown music legends like Marvin Gaye, the Four Tops, as well as Joe Cocker, Beatles, Cream and others. 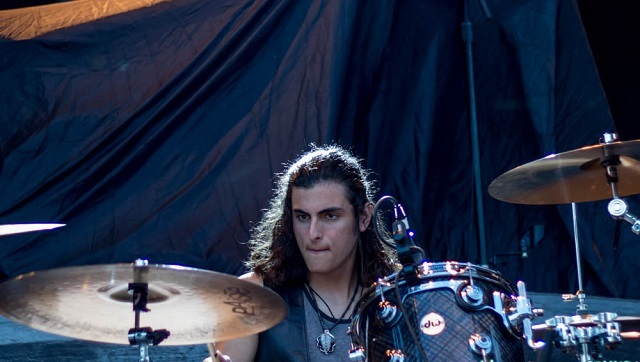 He has better height advantage than his elder brothers, he stands at about 9 inches taller than 5 ft.
Danny was a close friend of the Kiszkas before joining the band officially and was used to replace former drummer and founding member of the band Kyle Hauck in 2016. He was born on December 29, 1999, in Michigan, United States. He played golf in high school and featured in state competitions for his school. He has a sister named Josie. Aside from handling drums, Daniel is also good at playing the guitar. He can be referred to as the tallest man in the band, with a height said to be between 5 feet 10 inches or 6 ft. The band performed live on Saturday Night Live on January 7th 2019, alongside actress and Globe Winner Rachel Brosnahan. The band coined their name from that of an elderly lady in Frankenmuth, Gretna Van Fleet. On finding out, the octogenarian came to one of their concerts and subsequently consented to the idea of using her name, despite the fact that she is not a lover of hard rock music. Under the label of Lava Records which signed them on in March of 2017, they released their first studio Extended Play (EP) titled Black Smoke Rising in April 2017 on iTunes. Their single Highway Tune from this EP led in the US Billboard Chart and they got named by Apple Music as the new Artist of the week, as wells as Best New Artist Award by Loudwire. They came out with a second eight song packed EP titled From the Fires on November 10, 2017, which included songs like Edge of Darkness, Talk on the Street, among others. They later went on to release their first studio album Anthem of the Peaceful Army in October 19th 2018 which was the top-selling album in the first week of its release, selling over 800,000 copies. The album ranked 3rd in the Billboard 200 and by December 2018, the four-man band was nominated for 4 Grammy Awards including Best New Artist, Best Rock Performance, Best Rock Song – Black smoke Rising and Best Rock Album – From the Fires. The youthful 4-man Greta Van Fleet members are on their way to making a fortune as they revive the dying genre of pure rock and roll. However their net earnings have not been verified but we believe with their recent award nominations, and after the successful sale of their debut album, their earnings is going to increase.